2 x 12v 15ah Batteries For Pro Rider Elite Mobility Scooters ~ UK #1 2019! BACK IN STOCK 9TH AUGUST – AVAILABLE NOW ON BACK ORDER! 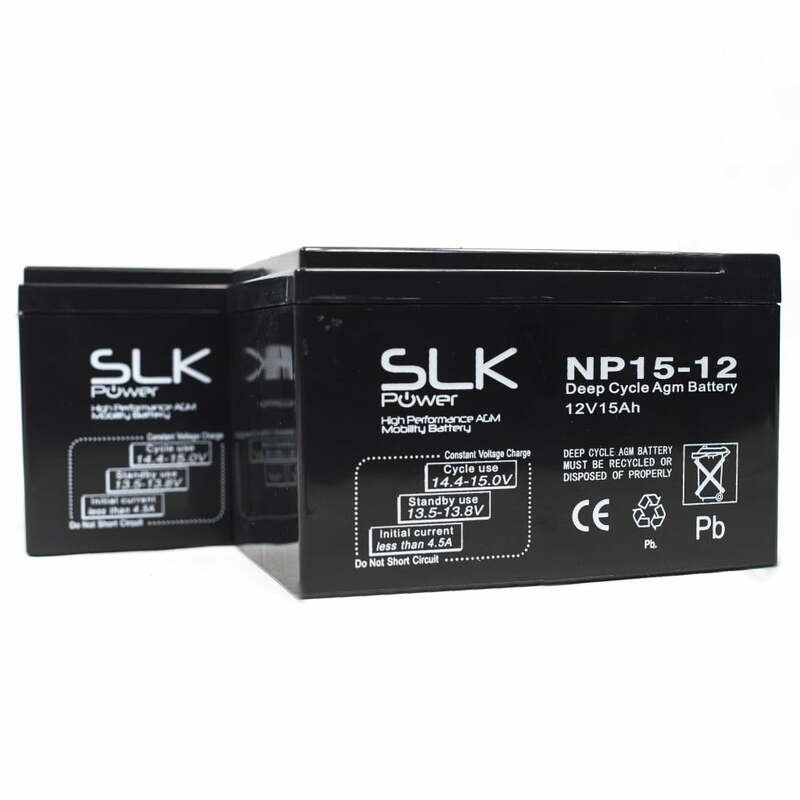 These SLK 12v 15ah batteries Batteries for Pro Rider Elite scooters are known for their outstanding performance against other lead acid batteries on the market. When buying from SLK Mobility, Performance and Quality is guaranteed!